We hope everyone had a wonderful thanksgiving break! 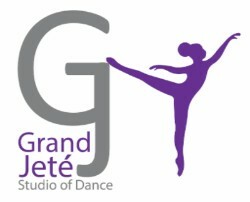 We are back into the studio tonight for classes! Our office is still holding envelopes for parents that missed meetings along with our Thursday Classes. 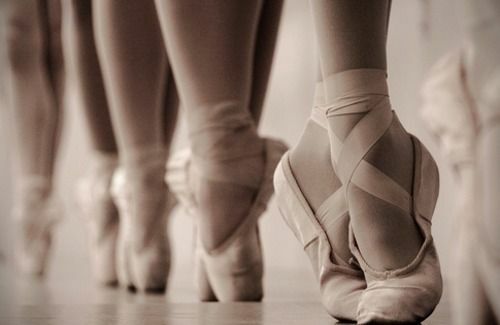 Please stop in our office this week between 4:30-8:30 for your performers recital information. Deposits are $50 per costume and are non refundable after orders are placed. 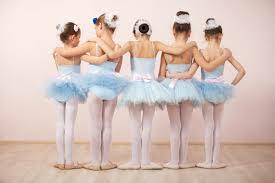 Its your last chance to order recital portraits and stage photos. 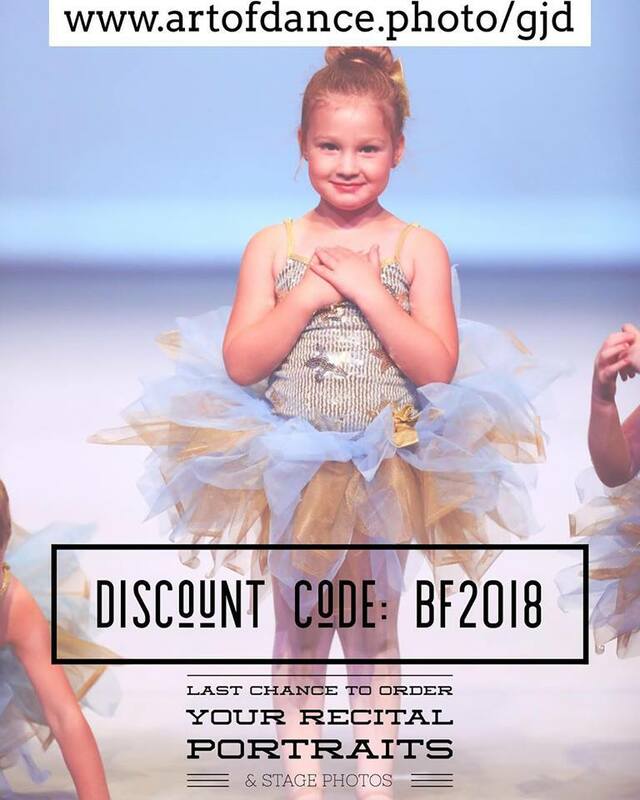 Use the discount code BF2018 to receive 20% off of your order. Photos will be online until Friday the 30th. Once our photos come offline the sale is over and there will be a fee for uploading folders back to our page. 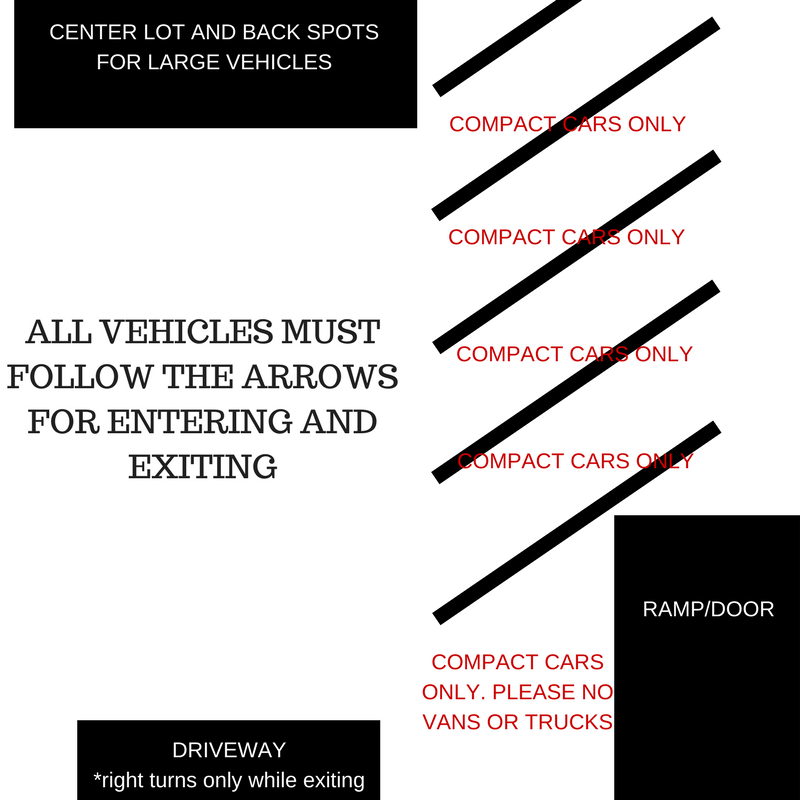 Just a reminder that our patrons are only to park in the following areas above. Please do not park in apartment spots on the left hand side of the lot. Compact cars only for ramp parking spots. Absolutely no Vans or Large SUVS. Please pull all the way up to the stairs to avoid blocking our entrance. Some of our Shoe Orders have arrived. Please check our pick up table for your orders!